How Long Does it Take to Become a Correctional Officer in New Jersey? How much does a Correctional Officer make in New Jersey? A correctional officer is responsible for ensuring the care, safety and custody of criminals confined in detention facilities. New Jersey is the second best state in the US for correctional officers as far as salaries are concerned. Currently, around 10,000 individuals are pursuing successful careers in the Corrections Department of New Jersey. The department offers a range of career opportunities in operational and administrative fields. Although a career in this field can be financially rewarding and personally fulfilling, however, not many individuals are suited for this kind of work. There are a number of strict requirements that you will have to meet before applying for a career in correctional services. A list of requirements is listed below. If you meet the above mentioned requirements, you can then move onto the next step. If your application gets shortlisted, you will receive a notification by the Corrections Department of New Jersey. The exam notice will be mailed to you 2-3 weeks before the date of exam and will confirm the location, reporting time and the test date. The questions in the exam will test your cognitive ability, memory, observation skills and personality. The test will have a multiple choice format. Based on your test score and vacancies available, you will get a notification from the New Jersey Department of Corrections to report to them in order to complete the pre-employment screening. It consists of four phases. In the first two phases, you will be required to complete the written psychological exam and a computer background check. In order to clear the background investigation, fingerprinting will be done. You will also be required to undergo urinary testing to assess drug use. In the third phase, a background investigation is carried out which consists of visits to your workplace/residence and personal interviews. If you are successful in the pre-employment processing, you will be notified for further screening. A thorough medical exam will be conducted; this includes EKG, chest x-ray, hearing test, blood tests, vision test, etc. An interview will also be taken by a psychologist. If you are successful in the above stages, you will be appointed as a Correction Officer Apprentice. You will be required to attend the Correctional Staff Training Academy and will have to complete a 14-week New Jersey Police Training Commission Course. You will be taught a number of college level courses on correctional procedure, constitutional issues, criminal law, firearms training, etc. Written assignments and tests will be taken to assess your performance. You will also be given physical training and will be taught courses on self-defense and physical education. You will also participate in strength building and running exercises. While attending the training academy, you will receive a bi-weekly stipend. If you successfully complete the training course, you will be promoted as Correction Officer Recruit and will have a working test period that lasts one year. If you are successful in completing this test period, you will be appointed as senior correction officer. This position requires a working test period of four months. 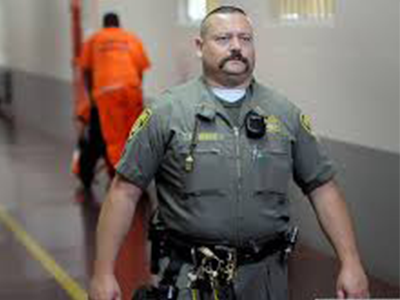 The Department of Corrections offers a wide range of career options to senior correction officers. They can be appointed in special operations, special investigation division, K-9 Unit, Interstate Transportation, Custody Recruitment Unit, Critical Incident Negotiation Team, Central Medical, Central Transportation and Ceremonial Teams. How much do correctional officers make in New Jersey? The following salary data of correctional officers and jailers has been taken from the US Bureau of Labor Statistics and represent statistics as of May 2017. New Jersey is one of those states that have a large prison population. Thus, correctional officers are in high demand and have bright career prospects. However, this job will require you to work under extremely stressful and dangerous conditions, so you should be prepared accordingly. If you think you are suited to work in correctional services, then go ahead and apply now.